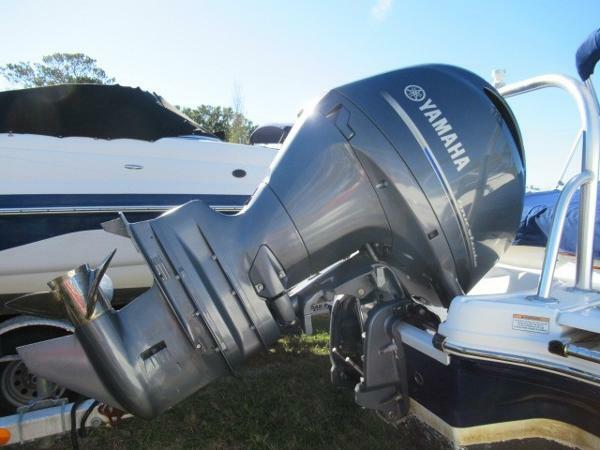 150 hp Yamaha with Under 50 Hours! Engine Warranty to May 8, 2020 Stainless Prop Coyote Aluminum Tandem Axle Trailer with Brakes Included AM/ FM Stereo with 4 Speakers Ski Tow Bar Digital Depth Finder Bow and Cockpit Storage Covers Bimini Top Docking Lights SeaStar Hydraulic Steering Upgrade Boat Owner Will Consider A 19' to 21' Center Console Trade With a Four Stroke Engine This is a great family boat perfect for cruising, pulling a tube and easily getting to the island. The boat owner's boating plans have changed, so, this one of a kind gem is available for one lucky boating family. Her aluminum tandem axle trailer has brakes and is included with the purchase. She has tons of storage under her aft sun pad, under the aft bench seat, under bow seats and in floor storage area. 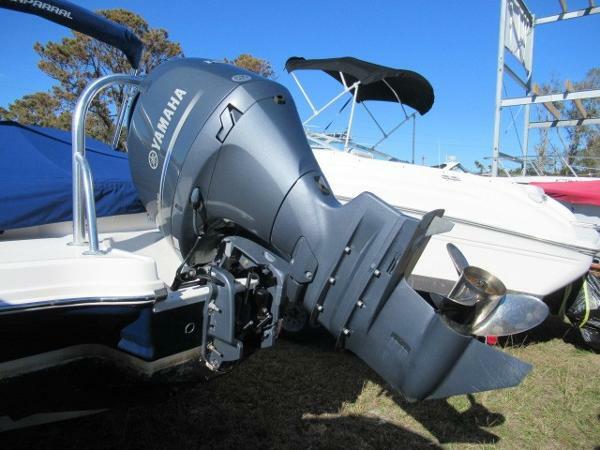 The boat owner is willing to consider an older 19 to 21' center console trade boat. Boat must have a four stroke to be considered. Please contact broker with questions. To take a look at the detailed list of equipment please click on the Full Specs tab. NOTE-this boat is located offsite. Please contact listing broker to schedule an appointment to take a look. Thank you for your interest!